Increased unmanned areal vehicle (UAV) usage by the Department of Defense has resulted in strained personnel resources; with two trained pilots required to operate one military UAV at all times and UAV tasks often requiring swapping out of these skilled pilots every few hours due to fatigue. 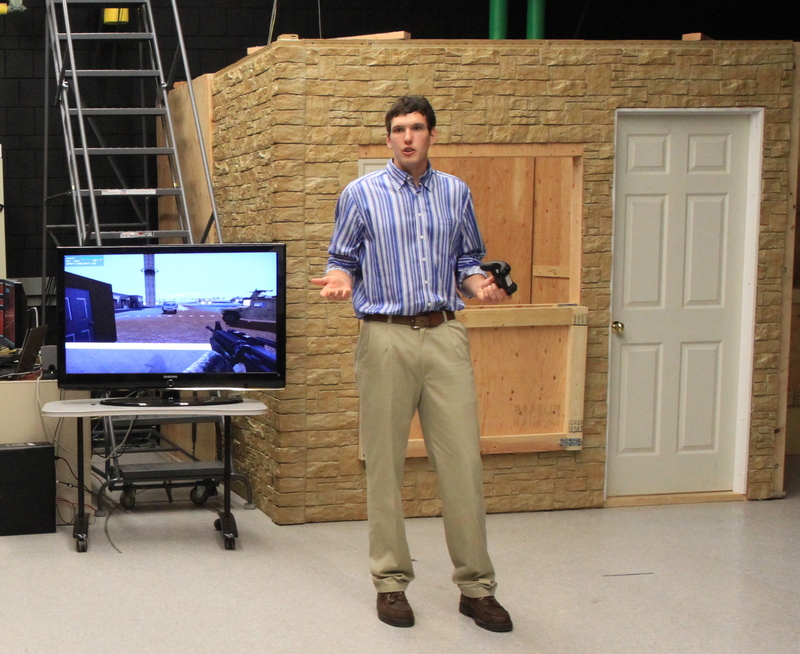 To solve this challenge, a Virtual Battlespace interface has been created by the VRAC where one person has the ability to control multiple UAVs. Brice has worked on this project as an undergraduate student and now works as a graduate student developer on the project. As a developer on this project Brice, worked to integrate various simulators, tracking systems and teleoperated vehicles spread across two buildings for an inter-service exercise. 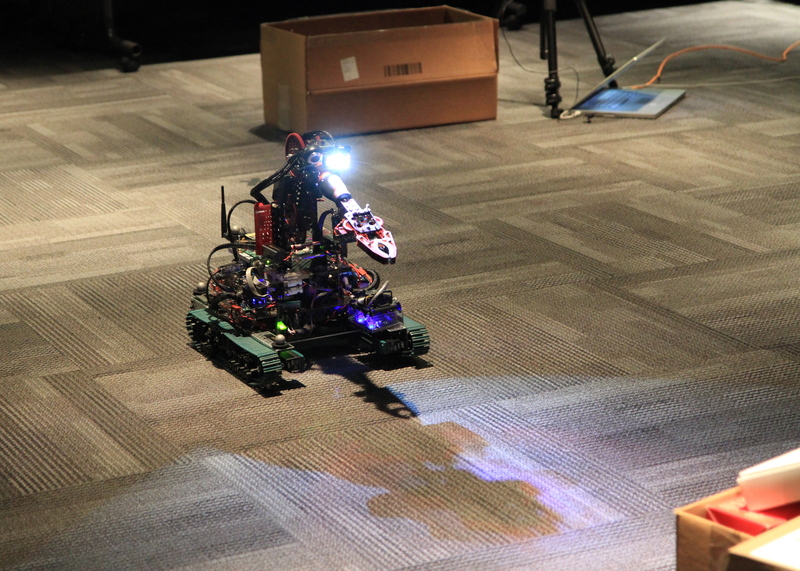 This exercise involved live personnel within the Veldt training environment, virtual and constructive actors within a commercial game engine, the UAV planning battlespace simulator within the C6 CAVE environment and a tracked unmanned ground vehicle (UGV). 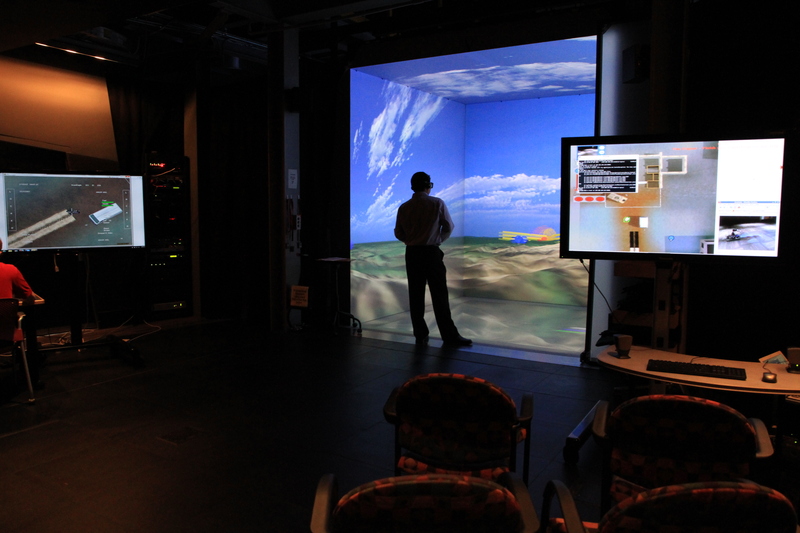 The UAV simulator room as well as the C6 are shown in Image 1, the Veldt training environment in Image 2, and the teleoperated UGV in Image 3.